Beginning next year, students will be introduced to restorative justice practices in schools. This was disclosed by Minister of Justice, Hon. Delroy Chuck, during a statement to the House of Representatives on October 19, on restorative justice and other justice services. “Where these are effective, they reduce the number of cases which come before our courts. These positive practices, which focus on restoring relationships and repairing harm, have also been shown in research across the world to reduce crime and violence and also reduce the rates of recidivism,” he said. These include anger management, respect for each other, and how to interact and resolve conflicts without resorting to violence. “We want to go to all the schools or as many of them as is reasonably possible,” he said. The Minister said partnerships among the Ministries of Justice; Education, Youth and Information; parent-teachers’ associations and non-governmental organisations (NGOs) would be undertaken in this regard. In the meantime, Mr. Chuck said 1,124 persons attended sensitisation sessions across the island during September. The sessions were made up of Custodes, Justices of the Peace, leaders of the clergy from many varied denominations, principals, deans of discipline, guidance counsellors, teachers and students. Each session included an introduction to restorative justice, mediation, victim services, legal aid and child diversion. Mr. Chuck said these sessions and interventions form part of the Reform Programme being implemented by the Ministry of Justice, adding that mediation and restorative justice are alternative forms of dispute resolution. 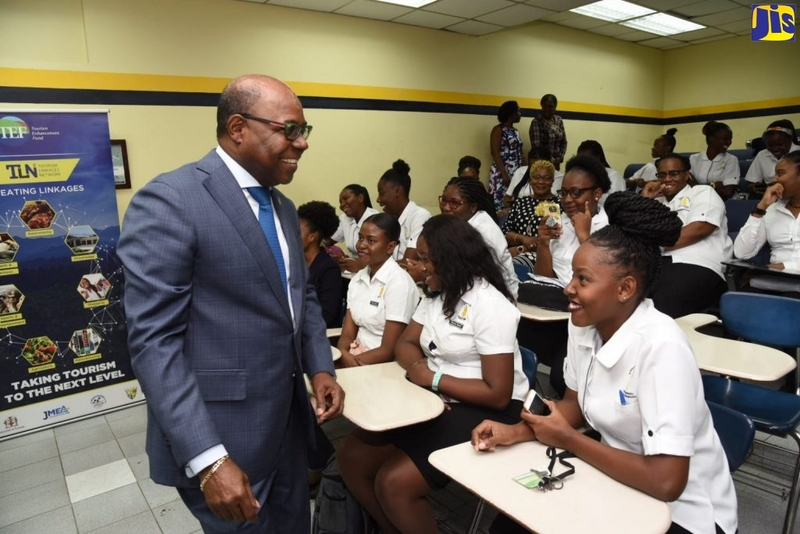 He said the programme has been assisted by the Citizen Security and Justice Programme (CSJP III) and Justice Undertaking for Social Transformation (JUST) projects, adding that the Ministry has approached the Improved Access to Justice in the Caribbean to assist with the roll-out of Restorative Practices in schools.